Photo editors have become an essential part of our lives today. From cropping pictures to the desired shape and size, to changing colors from chromatic to achromatic, to convert photo into cartoon, or to perform any changes on your pictures for that matter, you need an application either on your mobile phones or your personal computers or laptops. With passing time, an increasing number of photo editors have been developed, some of which can be used online on the internet. LunaPic is one such photo editing application that helps you to edit your photographs to the way you desire online. Today we are going to talk about some of the 21 popular and useful alternatives to LunaPic that you can use to change the way your photographs look! When you take a photo, unwanted objects may come into the frame which does affect the overall beauty of the image. Fortunately, with Jihosoft Photo Eraser, the best alternatives to LunaPic, you can easily erase or remove unwanted objects from photo. You can precisely select the unwanted object from your photo and the just click on the Erase button and the software will do its magic. The Photo Eraser has a smart processing engine which automatically decides which pattern will be used to replace the masked object that you don’t want it to appear in your photo. This app available on the iOS, Android, Windows tablets and phones, is from the Adobe Systems Pvt. Ltd. It is an online photo editing app that you can use for free and allows you to photoshop your pictures according to your wish. Touch up your pictures, add effects and graphics, create collages, resize and rotate them, perform almost any kind of actions on your photographs with the help of PicMonkey. As a similar websites like LunaPic, there is no need to download anything in the app or when you use it online. Use all the tools and features available online for free and make your photos look nothing less than perfection! Transform your pictures into a masterpiece with the help of PicsArt! PicsArt helps you to make use of dynamic photo editing tools and methods which will help you to change your pictures into a professional’s work of art just with the tip of your fingers on your mobile screens! For example, you can convert picture into watercolor painting or pencil sketch. 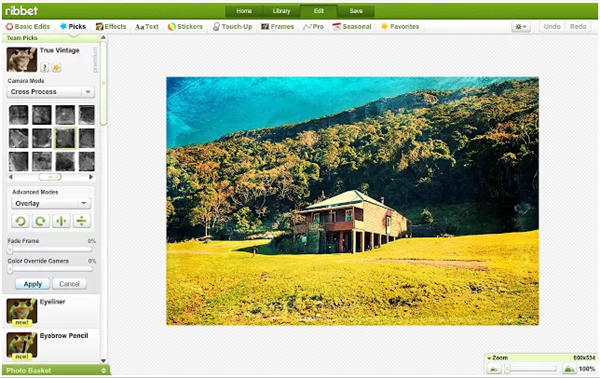 The Pixlr app has a wide range of photo editing tools that you can use for free. Creating photo collages, additional effects and much more to make your pictures filled with graphics and make yourself look like a professional photographer in front of the world! Turn your pictures and change the timeline in which it was clicked into years with the retro themes available on the Pixlr-o-Matic. Give a vintage look to your images with the comfortable and creative editing options available on the app as well as when used online for free! This app is an extension of the Buffer.com online website, which is one of the sites like LunaPic. 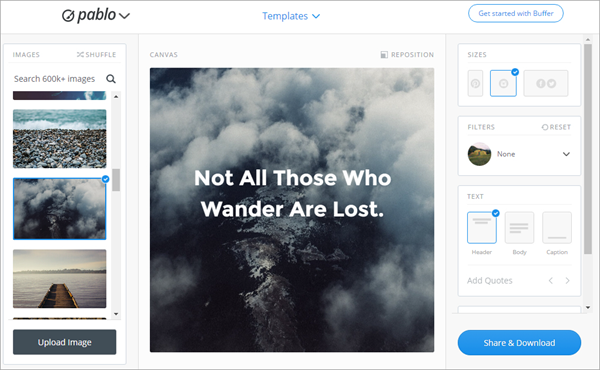 Pablo by Buffer makes it easy for its users to create images that can be easily shared on various social media platforms without any difficulty and keep users and people who watch engaged! The ezgif.com is a super simple and straightforward online website that allows you to make GIFs in almost no time! You can also edit and change GIFs into the format you desire with all the available tools and methods on the website for free! You can create, resize, recreate, reverse, crop and perform different activities on the GIFs to make it look like brand new! 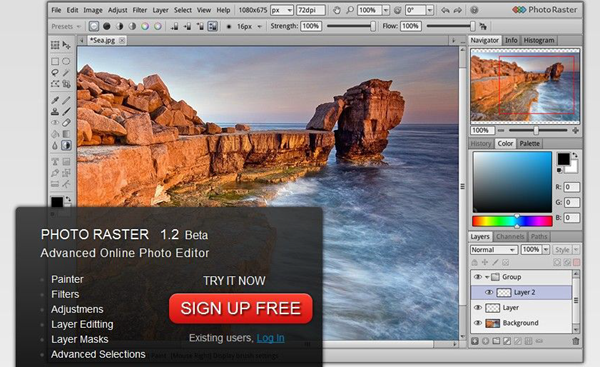 The Photo Raster is an online photo editor that contains advanced technologies and techniques that allows its users to edit and even paint and create or recreate images and make them look alive again in no time! Its latest features make it possible to change the look of the image completely and twists it to make it modern but classy at the same time! PicLab allows the users to add artwork and excellent typography with just the touch on the screen with the tip of your finger! Add stunning effects and one-of-a-kind filters from the ever-growing variety or list of filters and effects that you can use on your pictures and videos. 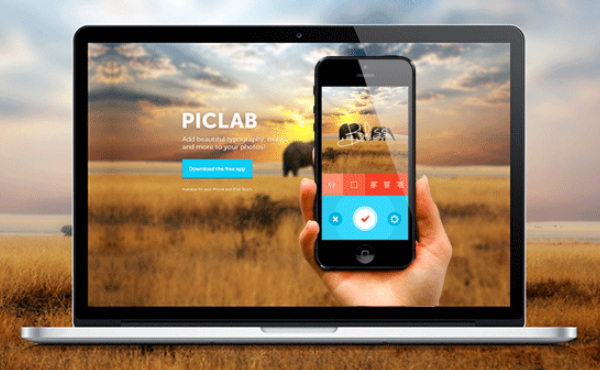 Moreover, PicLab works on iOS, Android phones, tablets, etc. This Instagiffer can help you customize texts, filters, additional effects and almost anything into a high-quality GIF instantly. You can now easily create high quality and extravagant GIFs by creating them from scratch or by gaining inspiration from anything that you see. Released in 2007, Be Funky is an app that allows you to use online photo editing, make collages, use a personalized graphics designer for your images and videos. Be Funky also offers its users with an OCX app, a version for iOS and Android mobile phones and tablets as well as with a Chrome Extension. With its unique features and tools, Be Funky has become a tool that is used worldwide. PicSay is a unique photo editing app that has also been awarded for its outstanding features and graphics that are available for free for all of its Android users. 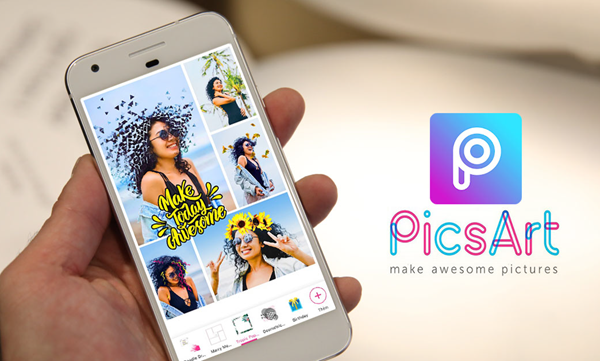 Available exclusively on Android phones and tablets, PicSay had a wide variety of photo editing options, including crop, rotate, resize, reshape, add effects and graphics and animations, etc. All of these features are free of cost. Gifsicle is a tool used to create, edit and recreate GIF images and animations via a command line interface. 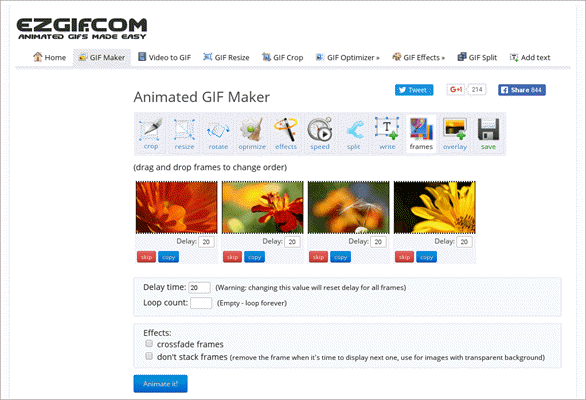 Creating a GIF animation has never been easier for users after the release of the Gifsicle for Mac, Windows, Linux, etc. Gifsicle allows the users to use batch mode for changing GIFs, print information in intricate details for better usage, and remove redundant colors and much more! Use the Photo Editor app to use the best techniques to edit and animate your images according to your wishes and desires. You never have to think twice before using Photo Editor to manipulate your photos. Editing and changing the look of your photos has never been easier than this! 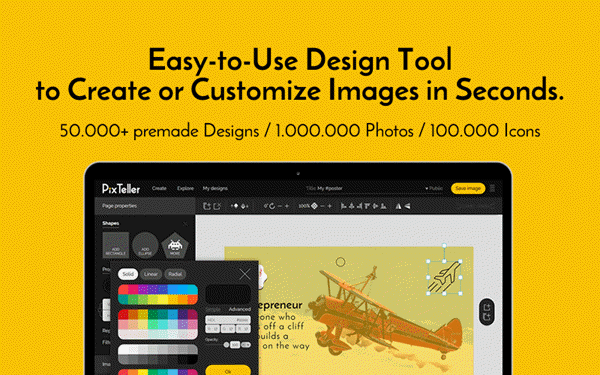 PixTeller is an application that can be used by people and workers of different fields, such as marketers of the digital industry, bloggers, or even for personal use. It does not require users to install different or special software to use the application freely. You can use it online or on your devices free of cost and with loss of no time! 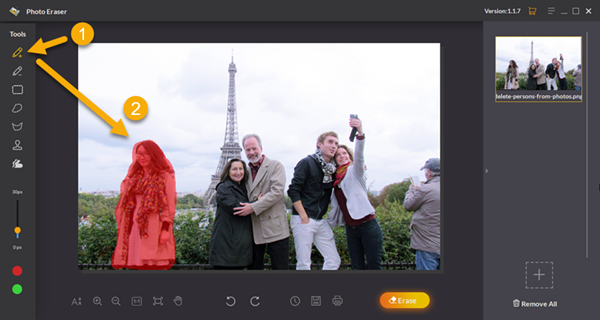 Edit your pictures and videos like a professional with just the click of a button on the Ribbet photo editor. Ribbet allows every kind of person, an amateur to a high-class professional to edit pictures like they never could imagine before. 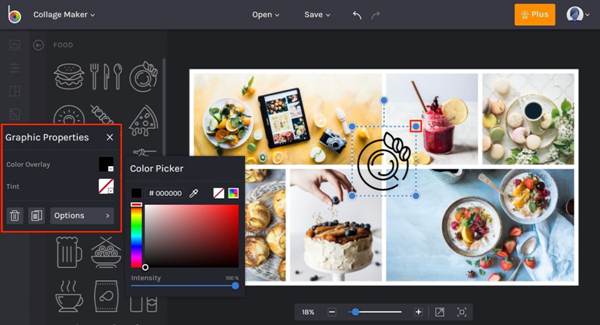 It is in-built with an unlimited variety of tools and instruments that allow the users to use their full potential to edit and recreate the magic on their images using the Ribbet. 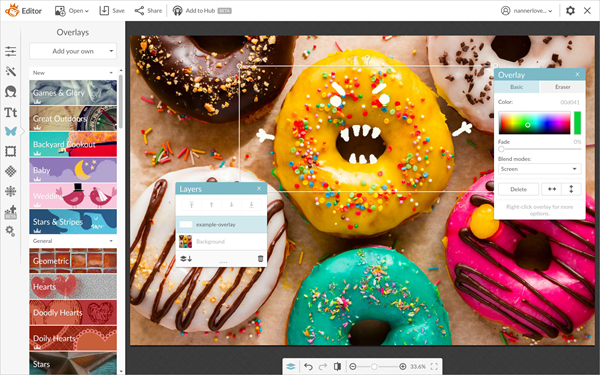 The SSuite GIF Animator allows the users to quickly edit photos and GIF images, slideshow movies and so on. All you have to do is to load the required number of images onto the list and click on create and watch the magic unravel right before your eyes! SSuite is completely portable using a memory device or any USB storage device. The Animator is a small yet effective animation tool that allows the users to add animations and different types of features and effects on the on images, videos, GIFs, and etc. to make them more interesting and eye-catching. Add a touch of beautification to your images and pictures using the Beautify app or even using the online editing feature. Make all your images look like professional quality photographs using nothing but your simple cameras and a touch on the Beautify app! 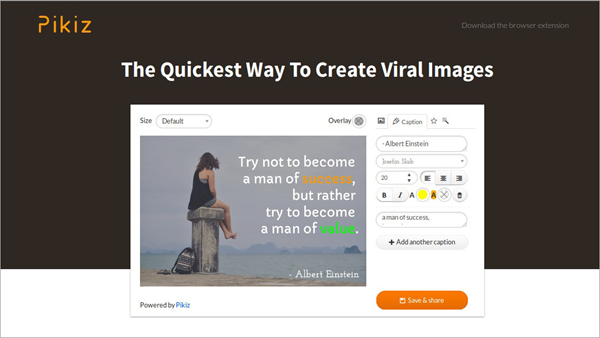 Pikiz is an online editor that allows users to easily edit and change the look of the images with no difficulty and discomfort. You can employ it on any website. Control and manage all the videos and images gifs using Pikiz on the internet with free editing! Are you having trouble converting your images, videos, documents and other files into some popular formats? The solution to this problem is nowhere with the new Online Convert that helps you to change the form of pictures, videos, audios and other documents into the format you want as quickly as possible and also for free! Just use the above mentioned alternative photo editors to LunaPic to make your images, pictures, videos and GIFs modern and the best-looking with just the click or touch on your phones or computer screens. 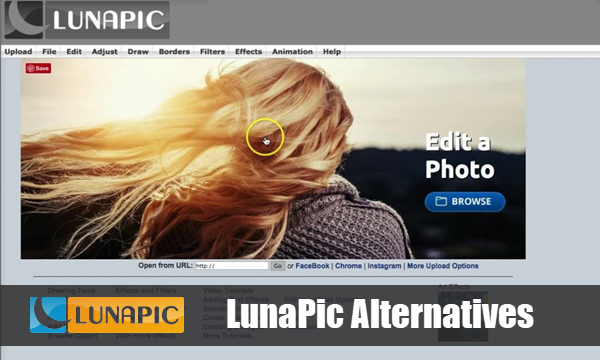 With any of these sites like LunaPic, you can add various effects on your pictures, rotate them, create a slideshow of the photos, add animations, and make collages and much more! You no more have to practice or achieve great heights to make your pictures better than a professional when you have access to so many great and useful photo editing apps! How to Convert Picture to Watercolor Painting on Android?